My420Mate.com, premiere dating website for the Cannabis Community launches new companion App June 1, 2014; revolutionizes online dating for Marijuana users with smart phones nationwide! Today, My420Mate.com, premiere social dating site for the cannabis community, announced the launch date of its App for use with smart phones: June 1st of 2014. First introduced on April 20 of this year in beta (and the online dating service/website in April of 2013) the App continues the mission of My420Mate.com in making it easier for 420 friendly people find that special someone from the convenience of their mobile phones in a sleek, easy to use customized experience. Members can chat, make friends, share interests, and possibly even date using the user-friendly mobile app designed especially for the 420 community. “One of the biggest challenges we find in the dating world for the Cannabis Community is those moments of trying to meet new people and having to make the awkward leap of disclosing one’s lifestyle choice,” said Miguel Lozano, President of My420Mate.com. “The 420 community consists of people from all walks of life, including smart, attractive and successful men and women from all backgrounds and ages,” he continued. “This is the basis of our exclusive clientele, and our new App makes it even easier for them to connect across the nation,” added Vice President Jay Lindberg. The App is free to use and is currently available on iTunes, and is also on the Google Play marketplace (users must first register for free at My420Mate.com). Members can create a dating profile, chat live, add photos, as well as perform individual preference searches regarding the person they’re searching for. They can also instantly see photos and read about potential matches in their area. 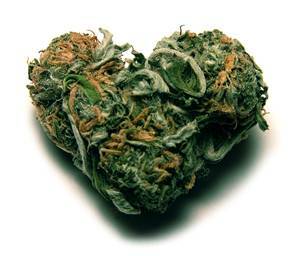 My420Mate.com is the #1 online dating community for cannabis lovers. My420Mate is a social dating network where 420-friendly people can meet new people. My420Mate is great for chatting, making friends, sharing interests, and even dating! It's free and easy to use. This unique dating community is not just for stoners, it consists of professionals, laborers, doctors, lawyers and other singles who are all 420 friendly.